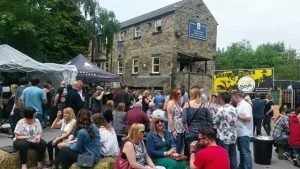 Andy Cullen from Sheffield CAMRA gives us his take on Sheffield beer and Sheffield Food Festival. Sheffield has a proud and thriving tradition of brewing, pubs and music which all go hand in hand – there are so many good pubs where you can seek out craft beers, live music, good food and more. There are now around 20 breweries in the City of Sheffield plus many more nearby in Barnsley, Rotherham, Worksop, Dronfield and the Peak District, many of them brewing on a relatively small scale and putting passion into their craft! The longest established are Kelham Island and Abbeydale who started in the 1990s when the last of Sheffield’s industrial scale breweries – Wards and Stones – were still around, the newest brewery being Loxley Brewery based at the Wisewood Inn who at the time of writing had commercially produced their first three test beers. The beers being produced cover the whole spectrum of styles. The most common cask beers seen on bars around Sheffield are Bradfield Farmers Blonde and Abbeydale Moonshine – both easy drinking, pale session beers – whilst at the other end of the scale there are some interesting one off experimental beers produced, recent examples include Lost Industry’s Rad Beets – a 6.8% ABV Porter brewed with beetroot and horseradish – and Steel City’s The Blood, The Wine, The Roses which is a stout that has been aged in an old red wine barrel. Thinking of notable beers brewed on a regular basis now, Blue Bee Brewery produce an excellent fiery ginger beer! 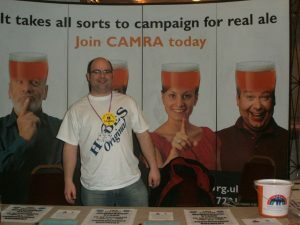 I am someone who enjoys pubs, real ale and other craft beers to the level that I volunteer with the Campaign for Real Ale and am involved with a number of beer festivals including 3 Valleys in Dronfield (June) and Steel City at Kelham Island Museum (October) – so you can imagine I am incredibly proud of how good Sheffield is for pubs and beer. Looking forward to Sheffield Food Festival it is a great celebration of the City’s eating and drinking scene and the Eats, Treats & Beats village features two very different local breweries – Stancill and Sentinel – as well as a number of street food traders and a music programme. 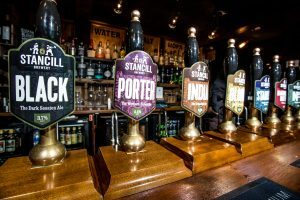 Stancill Brewery are the more traditional of the two based in an industrial unit and producing a classic range of easy drinking beers including the famous Barnsley Bitter and a Pilsner Lager, they also run a number of community pubs. Sentinel Brewhouse is a modern brewpub on the edge of the City Centre – you can see the beer being brewed from your table in the bar and their more popular beers are piped direct and fresh from the brewery tanks to the tap on the bar! They also serve freshly prepared food and are keen exponents of beer and food matching. Whilst they brew the likes of Kop Lager and Sheffield Bitter, both popular with Sheffield United supporters on match day, they also lend their hands to reproducing European beer styles such as Kolsch along with historic beer styles and subtle flavoured beers as well as your more modern craft beers such as their recent double IPA. Meanwhile over in the Peace Gardens will be the Fountain Bar, featuring a number of other brewers from our region, including Abbeydale, Kelham Island, Welbeck Abbey, Bradfield and On The Edge breweries.